When my husband and I first began the process to adopt, we were overwhelmed by the options. Should we choose domestic, foster care, or international adoption? Should we pursue an independent adoption or work with an agency? 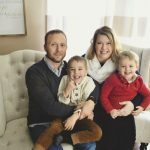 Months of going back and forth to different adoption fairs and reading all we could on adoption, it led us to the decision to adopt from China. We quickly learned an international adoption agency would be required. Though it is possible to pursue an independent international adoption, international adoption agencies are crucial to the adoption process. Here is why. When considering international adoption, it is important to remember there are three sets of laws at work, the law of the prospective adoptive family’s state of residence, United States federal law, and the laws of the child’s country of residence. Because domestic adoption is governed at the state level, the rules and requirements for the home study, pre-adoption education, post-placement visits, and adoption finalization vary from state to state. To begin the process, a home study must be conducted by a state-accredited adoption service provider (ASP). Thanks to the Universal Accreditation Act of 2014, not only must the ASP be state-certified, they must be Hague accredited as well. Most international adoption agencies will be Hague accredited, but to double check, families can visit the IAAME (Intercountry Adoption Accreditation and Maintenance Entity) to be sure. At the beginning stages of the adoption process, the ASP will work with a family through their home study, see that a family completes their pre-adoption education training, and advise families on their options with regards to which country and what type of child they would like to pursue. Through each step, the ASP will make sure the adoptive family is in compliance with state and federal laws. Once the home study process is complete, prospective adoptive parents will compile the necessary paperwork on the federal level to bring a child home. There are two types of international adoption possible: Hague and non-Hague. Families pursuing Hague convention adoptions (from countries such as China, India, Columbia, or Romania) must use an international adoption agency, but families adopting from non-Hague countries (such as Nicaragua or Samoa) may choose to do so independently. The 1993 Hague Convention on Protection of Children and Co-operation in Respect of International Adoption outlines several key guidelines for intercountry adoption, including that international adoption agencies must disclose all adoption fees, and more importantly that the prospective adoptive child must be found legally free to adopt. The United States is a signatory of the Convention, and to date, roughly 100 countries have signed the treaty. Because the U.S. is a signatory, even for families adopting from non-Hague countries certain requirements with regards to the child’s eligibility to be adopted must be met. All families must be in compliance with United States immigration policies. Families working with an international adoption agency will be walked through the process to submit the necessary paperwork to United States Citizenship and Immigration Services (USCIS). USCIS will then deem the family eligible to adopt, at which time a family may begin to work on a country dossier. Families pursuing an adoption from a non-Hague country may choose to work independently on both USCIS and dossier submission. After the home study is approved and approval from USCIS is granted, international adoption agencies work with families to complete their dossiers. A dossier is a collection of documents designed to highlight what a life with the prospective adoptive family would be like for the child. Dossiers are country-specific and exact language is important. Rules and regulations with regards to dossiers change from time to time, and a good international adoption agency will be on top of current guidelines. Each dossier must then be apostilled on both the state and federal level, then translated into the official language of the intended adoptive child’s country. Most international adoption agencies help with this stage of the process providing a list of documents required, exact wording, instructions for apostilling, and translation services. Families adopting independently internationally will be responsible for completing their dossier on their own and ensuring translations are correct. Upon dossier completion, international adoption agencies will submit all the paperwork to the country of interest’s central adoption authority. The central adoption authority will review it and then issue a letter of approval to the prospective adoptive family. At this time, the international adoption agency will work to find a match for the family. Wait times vary depending on how open a family is to gender, age, and medical needs. A good agency will advise on trends they are seeing with regards to waiting children and help families evaluate a match once one is received. Families pursuing independent international adoption will be responsible for identifying a waiting child. Unless a family is in-country, typically waiting children are found on sites such as Rainbow Kids. After a family approves of a match, they will work to submit an I-800 petition (if part of a Hague Convention country) or I-600 petition (non-Hague) to USCIS. The I-800/I-600 petition is used to deem if the child is indeed an orphan and eligible for adoption. If so, the petition will be used to obtain an immigration visa for the child. Families using an international adoption agency will receive this paperwork from their agency, who received it from the central adoption authority of the child’s country of residence. 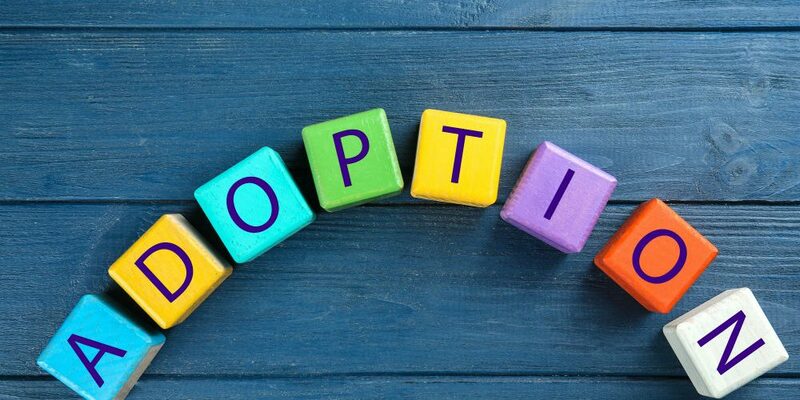 The criteria to declare a child an orphan is quite specific, so families pursuing independent international adoption will need to ensure they are Hague/USCIS compliant. It is important to remember that a foreign country’s definition of orphan may not be the same as that of the United States. Foreign countries often have different rules and laws for deeming a child an orphan, but under the U.S. Immigration and Nationality Act, all children must be considered an orphan under the U.S./Hague Convention definition. The third law at work is the laws of the child’s country of residence. Even practicing lawyers struggle to know the ins and outs of foreign legal systems. A good international adoption agency will have contacts in-country, “on the ground,” who can advise on where the family is in the adoption process with respect to no-objection certificates, court dates, and passport issuance. Families pursuing international adoption on their own often face extended wait times, higher fees, and disruptions during the process. When the time comes to travel, international adoption agencies vary in the level of support they offer. Some have guides who stay with families the entire time they are in-country, others recommend travel agents who can help facilitate the process. While in-country, families will receive a lot of documentation, and it is important to keep track of everything. A good agency will provide families with a list of documents they can expect to receive along with guidelines for what needs to be done in-country. Some adoptions are completed in court before the families arrive, some are done while the families are there, and some will be completed upon returning to the United States. In all instances, a trip to the U.S. Embassy will need to be completed to obtain a U.S. immigration visa for the newly adopted child before the family can return home. Families pursuing independent international adoption will do this step on their own. Upon returning home, all families will need to complete post-placement visits and reports per the terms of both their state of residence and the child’s previous country of residence. Post-placement reports are vital to international adoptions and should always be completed in the requested time frame. 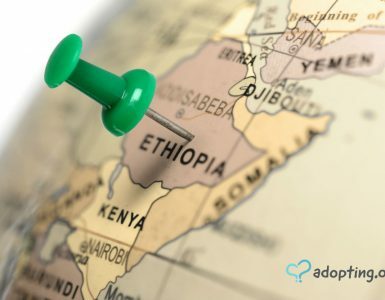 Some families will need to undergo the readoption process if their adoption was not completed in-country (such as from South Korea), but for others, it may still be a good idea as re-adoption secures a newly adopted child’s legal status. 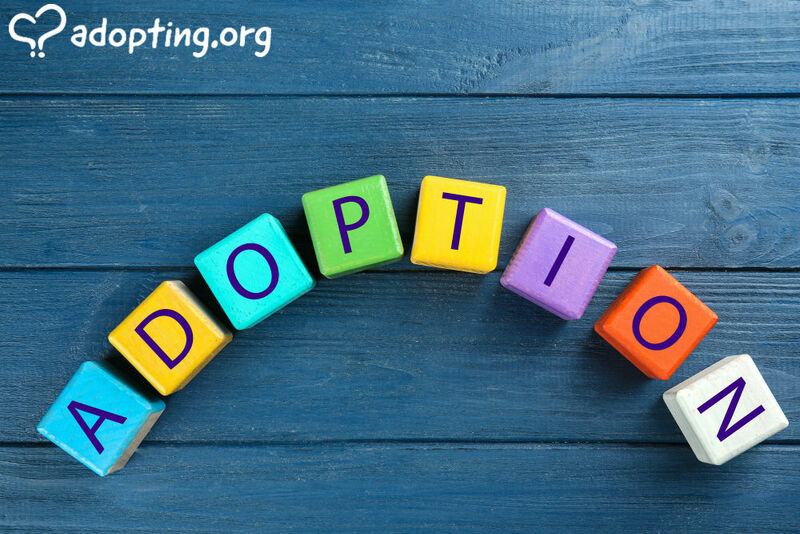 For most families, the re-adoption process will take place independently of their adoption agency. A quick google search turns up dozens of international adoption agencies. It can be daunting to find the right fit, but there are a few crucial questions to ask. First, it is important to identify an agency’s country programs. Do they have programs for the country (countries) from which you are interested in adopting? How long has the agency been working in the country? Is it a relatively new program or do they have a long history? How many families are currently in their program? Intercountry adoption policies and trends change all the time, so it is possible an agency has only been working in the country for a short time. Though it can be exciting to be a pilot family, prospective adoptive parents should know that programs with a shorter history, like Samoa, may encounter more speed bumps along the way than those programs which are more established, like China. Additionally, it is possible that a country may close during the adoption process. Country closings are not typical but in the event that it does happen, be sure to check your agency’s policies prior to signing. In the event that a country closes, is it possible to switch to a new program? How does the agency handle the fees already paid? Another question is, what is the timeline like for adopting from your country of interest? International adoption agencies with established country programs will be able to provide a fairly concrete timeline of the adoption process, from the home study through travel and placement. 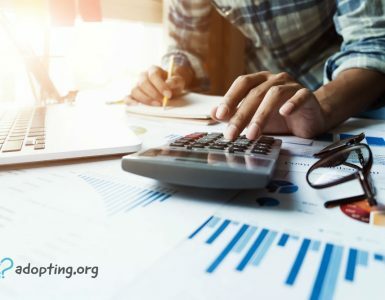 Agency fees vary as well, though thanks to the Hague Convention all adoption fees, including estimated travel costs, must be made transparent prior to home study approval. As such, agency fees for international adoption are typically in the same ballpark from one agency to another. Where costs tend to vary is between country programs. Most country program costs differ due to the sending country’s fees for the care of the children and the price to facilitate the adoption. Families hoping to pursue an independent international adoption should heed the warning that one of the goals of the Hague Convention was to limit additional fees charged to families while in-country. Families adopting from a non-Hague country may find themselves paying more when the time comes to bring their newly adopted child home. Of course, every family’s dream is to immediately match with a child. What type of children is the agency seeing from the country of your interest? If a family is interested in a special age, gender, or medical condition is there one country that might be a better fit than another? How long after approval can a family expect to receive a match? What is the matching process like? Does the agency help the family evaluate the file? How much time is there between receiving a referral and having to make a decision? If a family turns down a match is there a penalty, such as the family is now “at the back of the line”? What happens if a family finds a child through another avenue, such as Rainbow Kids? Once a match is confirmed, how does the international adoption agency handle contact with the orphanage or the child? Does the agency have good in-country representatives who are able to provide up to date information while families wait to travel? Waiting after receiving a match can be the most difficult time in the adoption journey, so what kind of support is available from the agency? Waiting parents meetings and local waiting parents events can be a terrific way to survive the wait and to meet families in the same process. When it comes time to travel, what kind of support does the agency offer in-country? Remember, adoption travel is not like any other kind of travel. Lastly, a good question to ask is if the international adoption agency has any ties to specific grants or foundations. 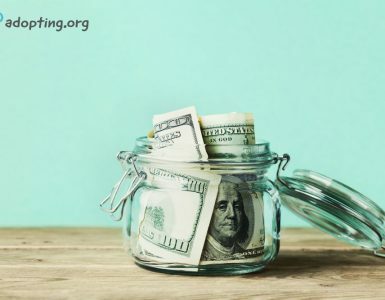 Several agencies have direct relationships with granting entities, which can prove helpful when the time comes to finance your adoption. There is a lot to consider when selecting international adoption agencies, so speak to other families about their experiences with various agencies. An agency might provide a list of reference families, but another great resource is social media. On Facebook alone, there are dozens of country-specific groups for families pursuing international adoption. International adoption agencies are crucial throughout the process of international adoption. Though it is possible to complete an adoption from a non-Hague Convention country without an international adoption agency, families committed to pursuing international adoption should strongly consider working with an agency to build their family.